Born in Texas and raised in Kansas, “Ike” Eisenhower graduated from West Point in 1915 and rose through the U.S. Army to become Supreme Allied Commander, Europe, during World War II. From this position, he coordinated the Allied victory over fascist Italy and Nazi Germany. 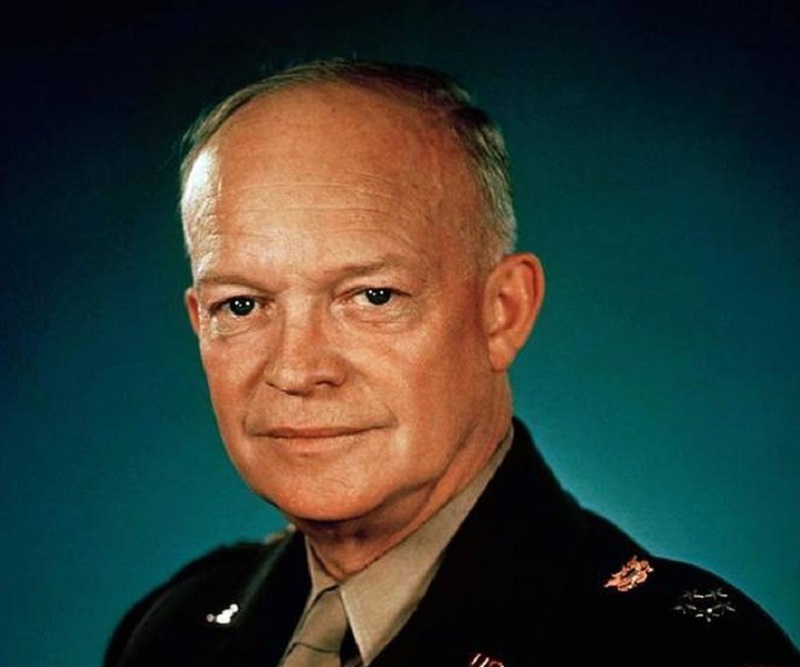 After the war, he served briefly as president of Columbia University, returned to active duty as supreme commander of the newly formed NATO forces, then ran for president on the Republican ticket in 1952. Elected by a landslide over Democrat Adlai E. Stevenson, he served two terms, during which the United States experienced a decade of business and economic expansion as well as a certain postwar complacency, despite the early ferment of the civil rights movement at home and the ongoing Cold War.